Just a mere 10 hours since we last ate together, I met up with Rich Guy for lunch. Previously, we were doing late night eats at Lucy's Eastside Diner. 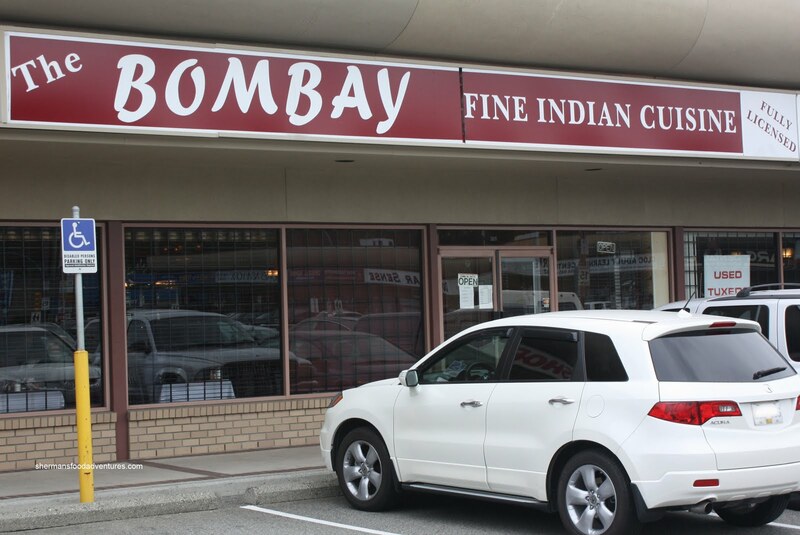 This time around, it is The Bombay in Coquitlam. 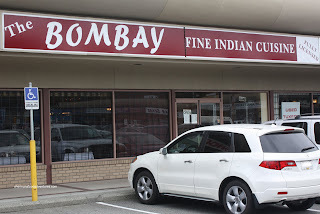 Arguably the best Indian restaurant in Coquitlam, it has been on my wish list for awhile. 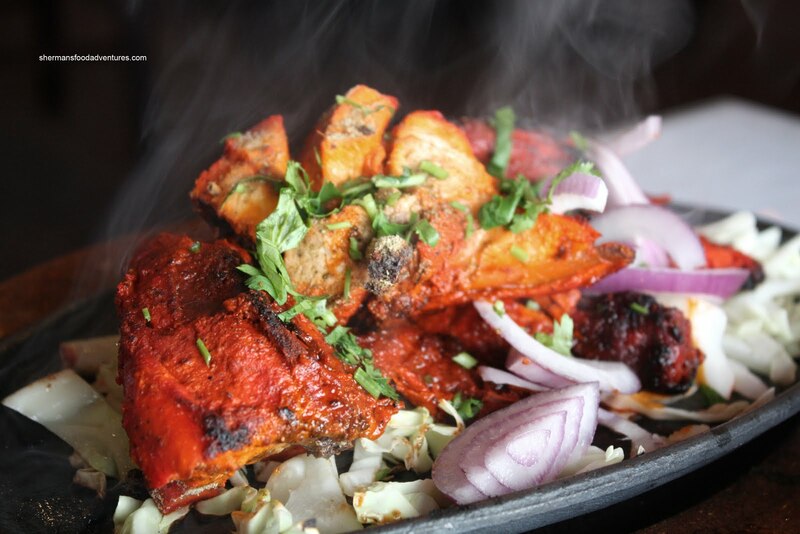 Mind you, it is easy to the "best" when you are the only Indian restaurant in Coquitlam! Hey, I have high expectations coming into this one. After all, I work near the best Indian restaurants in the GVRD. Normally, I'm a pretty punctual person. Actually, I think it's genetic. Both of my kids were born on their due dates. Talk about punctual! Anyways, due to circumstances beyond my control (road work), I was a full 30 minutes late meeting Rich Guy. He ended up visiting XS Cargo in the meantime. I hope he didn't end up buying some useless junk there. I've had my share of good and bad experiences there. I digress. Anyways, is it just me or are Indian restaurants surprisingly clean? This one is no different. Even the washrooms are exemplary. Try to find that in a Chinese restaurant! Again, I digress. So we were seated by the only staff member at the front of the house... I mention this because he really seemed overworked for the amount of customers in the restaurant (and it was only 1/3 full!). Imagine if it were full! This probably contributed to the long wait between ordering and getting our food. Now when we finally did get our food, it was quite a lot of it. You see, with Indian food, there are times where there is a whole lot of sauce and very little meat. Not here. 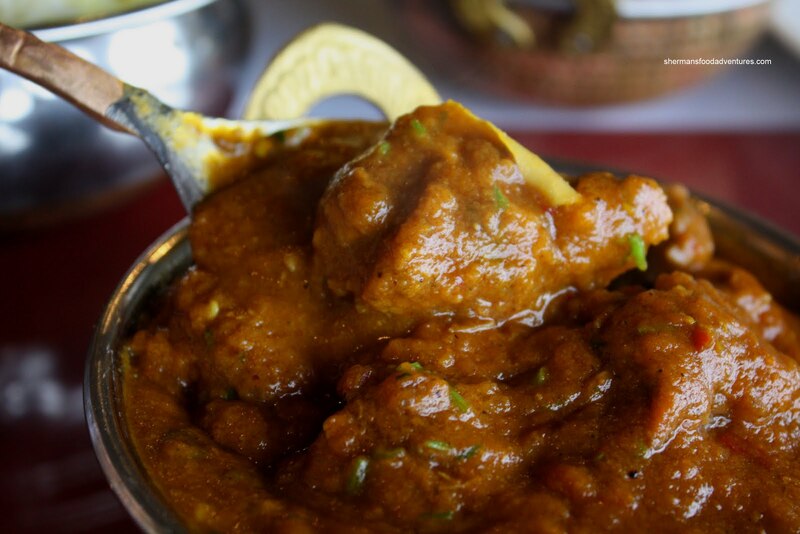 In my Lamb Vindaloo, there was enough meat to for 2 portions. Furthermore, it was v ery flavourful and quite spicy for "medium" (just the way I like it). Rich Guy has been here many times in the past and said that "spicy" is insanely hot. The lamb itself was in big tender chunks. Rich Guy had the classic Butter Chicken and once again, there was plenty of tender pieces of meat. This particular version was a bit more tomatoey than creamy. Nonetheless, it was still very flavourful and smooth. It went well with the wonderful Naan. It had the desired chewy/stretchiness on the outside which gave way to a soft warm inside. Perfect for soaking up the abundance of sauce. Of course we also had Basmati Rice for the curries as well. 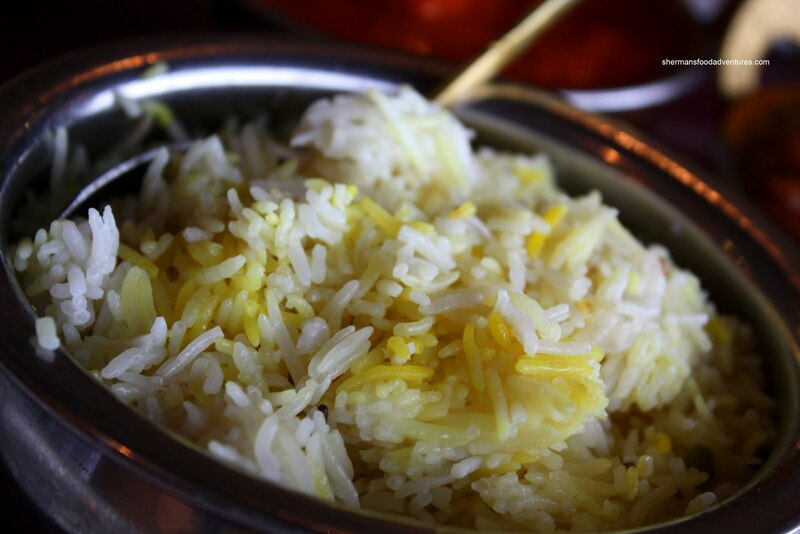 It was a bit clumpy and hard, not the best looking rice; but it did the job when soaked with the flavourful sauces. Finally, we got an half order of Tandoori Chicken to share. Probably not a good idea since there was more than enough food already... It arrived sizzling on a hot plate and it smelled wonderful. It also tasted alright with hits of various spices; but the chicken was very dry. That was true for the dark meat as well. In fact, the white meat was quite stringy. Not the highlight of the meal by any stretch of the imagination. But honestly, that was the only real glitch in an otherwise delicious and filling lunch. I was quite surprised at the quality and portion size of the dishes. Although the service was sparse and slow due to the lack of staff, the one server was friendly and tried the best he could. I guess since there is no competition nearby, the prices are on the higher side. With that being said, the portions balance it to a degree. Definitely good enough to compare with the restaurants in Surrey. I know exactly what you mean about the bathrooms! LOL! Hi Munchkie! 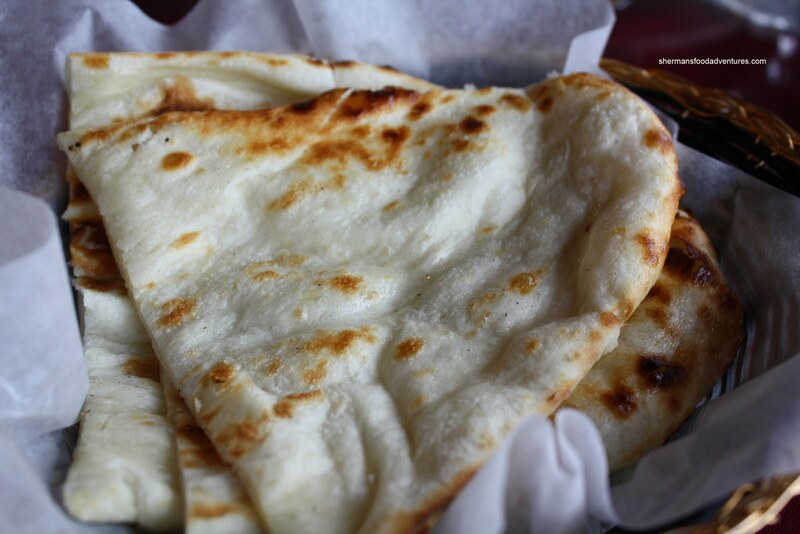 The naan was indeed very good. And I loved the lamb. 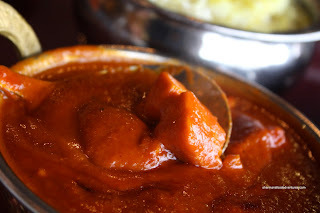 I love lamb vindaloo and it is nice to find a good one in Coquitlam of all places.